By now, most of you have heard about the health risks of sitting for extended periods of time. 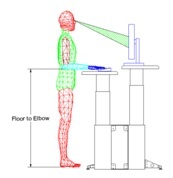 A height adjustable workstation or desk will give you the most flexibility, because it allows you to move easily between sitting and standing. So, the next logical question you might ask is 'how do you know what height to adjust your desk to?' A standing desk won’t do a whole lot of good, if you’re hunched over the keyboard to type or craning your neck to read your email. 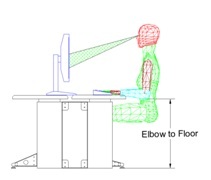 When setting up a height adjustable workstation, there are two positions you want to consider; seated and standing. Both are specific to each individual who uses the workstation. The standing position has fewer variables so let’s start there. The ideal ergonomic position for your keyboard surface is slightly below your elbows. The top of your monitor should be at eye level so you look down at an angle of 15 to 20 degrees to the center of your screen. Using a tape measure or yardstick, measure from the floor to the bottom of your elbow, just like our mesh friend in the picture. It's pretty helpful to have someone read the measurement for you, but give it your best guess, if that’s not an option. In my case, the measurement was almost exactly 40 inches. (HELPFUL TIP - many workstations use metric parts so just remember, you can convert from inches to centimeters by multiplying by 2.54.) Next, move your keyboard surface to the height you measured and see how it feels. You may want to tweak it up or down slightly to fit your individual needs. I moved my station to 101 cm and it felt perfect. With your keyboard height set, look at your monitor. Does it need to move up? Down? Or is it right on the money? If you have an adjustable monitor surface go ahead and move that to the appropriate height. If you aren’t that fortunate, see if your monitor stand/arm will move up or down. 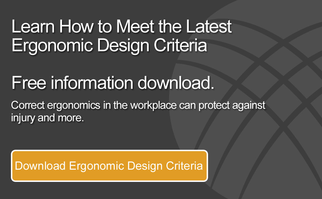 This would be the perfect time to jot down the position measurement of your workstation (if that’s an option). Once you have the proper standing position where it should be, let's tackle the seated position. Next, with your feet flat on the floor and your calves straight up, move your chair so that your thighs are also flat. 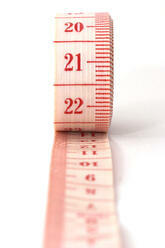 Now measure from the floor to the bottom of your elbow (this is when an assistant gets really handy). For me, the measurement was just under 28.5 inches or 72.4 centimeters. So I set my station at 73 initially but it felt a little too high so I moved it down to 71 and it felt solid. Now, look at your monitor height. Again, they may need to move up or down so you aren’t straining you neck. This is why dual surface workstations were invented, so if you have that option, move your monitor surface to where it needs to be. If you find that you need to move your monitors up or down when switching between standing and sitting and don’t have a dual surface workstation you’ll have to get creative. If your monitor stand moves you can adjust it that way. Alternatively, you could use a chunk of plywood or a ream of paper to get the right height and remove it when its not needed. If you have multiple memory positions for your workstation go ahead and set one of them for your seated position. Congratulations on setting up a height adjustable desk. Now that you have the ideal positions set, don’t forget to move between them. Being stationary is the enemy of being healthy.